The chief executive at Fortress Paper says the pulp and paper producer’s survival is not at stake despite withstanding a “perfect storm” that has shaken investor confidence and caused the company’s share price to sink to an all-time low Tuesday. “We’re frustrated, challenged but… we’re confident that we’ll be in a different place within a month or two,” said Chadwick Wasilenkoff in an interview. Pulp shipments plunged 78 per cent from the third quarter as the company shut down its mill in Thurso, Que., for 10 weeks in mid-December as part of efforts to materially lower costs. are stuffed into empty containers are already full. On behalf of the Coast Forest Products Association, we applaud Prime Minister Stephen Harper and the Government of Canada for the recent announcement of the new bilateral free trade agreement with South Korea. The new Canada-Korea Free Trade Agreement (CKFTA) constitutes Canada’s first free trade agreement in the Asia-Pacific region and will provide new access for Canadian businesses to the world’s 15th largest economy and the fourth-largest in Asia. The CKFTA is especially beneficial for BC’s coastal forest industry and we expect to see improvements in two main areas: tariffs and market access. British Columbians, as well as potential investors, are too frequently confronted by headlines declaring B.C., and Metro Vancouver more specifically, are paralyzed by conflict over natural resource exports with supposedly profound opposition to development among a majority of citizens. Is this really the case? Research conducted by the Mustel Group and highlighted recently in The Vancouver Sun found that in reality, a solid majority of Vancouver residents understand the importance of Vancouver’s port to the British Columbia economy and significant majorities also support the export of all major categories of the province’s resource exports, from grain to forest products to natural gas and yes, coal. The new board of directors of the North Shore Forest Products Marketing Board (NSFPMB) plans to meet later this month. It’s been four years. The Bathurst, New Brunswick board’s 11 directors all resigned on Jan. 26, 2010. NSFPMB Manager Alain Landry told the Northern Light this board’s role would include looking after private woodlot owners’ concerns and ideas and passing them along to him. Total exports of U.S. hardwood lumber and veneer to the Middle East and North Africa (MENA) region reached USD 90.49 million for the year 2013, according to a statement issued by the American Hardwood Export Council (AHEC), the international trade association for the American hardwood industry. The statistics, which have been compiled from the latest data released from the United States Department of Agriculture (USDA), reveal a 5 percent increase over 2012 figures. 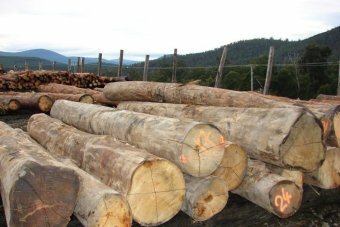 Timber producer Ta Ann Tasmania has revealed it has struck its own peace deal with environmental groups. 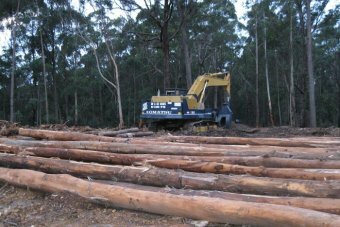 The company has stepped away from claims the viability of its business depends on the survival of the wider Tasmanian Forests Agreement (TFA). Ta Ann’s executive director Evan Rolley now says the Malaysian-owned business should be able to survive any change in forest policy because it has signed a “market compact” with three environmental groups. It commits green groups to supporting Ta Ann as long as it processes wood from uncontentious forests. he Forest Stewardship Council (FSC) welcomes the withdrawal of the suspension of Swedwood Karelia’s FSC certificate by its certification body, the Rainforest Alliance. The suspension was lifted due to a revised decision on several previously identified non-conformities, following a successful appeal by Swedwood and IKEA. Prince George, B.C. – CNC has signed a 10 year agreement that will see Dunkley Lumber continuing to develop and manage the college’s Research Forest as well as expand partnership activities in support of students. “Dunkley lumber generously made contributions that were over and above what we expected during our first five year agreement, so we were delighted to continue that commitment with them” said Catherine Wishart, CNC vice-president, community and student services. This is an insert in the Vancouver Sun produced by MediaPlanet. It examines the B.C wood products and forestry industry by featuring the innovations that are redefining how we utilize one of Canada’s most important resources as well as the wealth of fantastic career opportunities that the sector offers as the industry ages. Among the most sustainably managed in the world, B.C’s forests are an inspiration to the global community – as are the professionals that call this industry home. Founded on hard work, an appreciation for the natural beauty of the province, and a commitment to family values, the industry is – and will continue to be – a mainstay of the province’s economy. Twelve stories cover topics such as Careers, Resources, Sustainability, and Innovation. Contributors include Kathy Abusow, Arnold Bercov, Hon. Shirley Bond, Dr. John Innes, David Lindsay, Robert Moonen, Hon. Joe Oliver, Doug A. Routledge, Andrew Seale, Adam Robertson, Hon. Steve Thomson. KITCHENER — The tree stood at the foot of their lawn for more than 20 years, but its days were numbered. 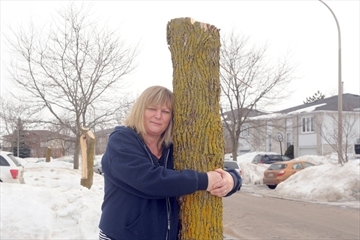 City crews marked Mike and Pauline Metcalfe’s ash tree for removal, one of about 10 slated to come down on their Kitchener street. On Tuesday, they cut off about two-thirds of it, leaving a trunk a few feet high sticking out of the snow. Pauline received a photo while she was at work of what remained. “I cried when I saw it,” she said. Theirs was one of about 700 ash trees on the chopping block this year in Ward 6 as the city continues its costly battle with the destructive emerald ash borer. The province’s long-awaited forestry strategy is expected to be unveiled today. Premier David Alward and Natural Resources Minister Paul Robichaud are scheduled to release the plan at a news conference at the Fredericton Convention Centre at 1 p.m. Alward said during his state of the province address on Jan. 30 that forestry remains the single most significant sector to the provincial economy and that the new plan will make the industry more competitive. Trees are vanishing in South Cooper Mountain as some Beaverton property owners choose to clearcut their land. Across Scholls Ferry Road in Tigard’s River Terrace, clearcutting is less pervasive; landowners are opting to keep their trees in light of updated city regulations and incentives. Tigard’s forestry plan offers flexibility for developers who work around existing groves and perks for property owners who leave their trees standing. Beaverton city planners say no such plan is currently in place for Beaverton, but one could be put together as planning for South Cooper Mountain continues. …The reason why little may get accomplished is that ordinary people do not have the scientific knowledge, or adequate time, to treat the entire forest as a complete, complex ecosystem instead of treating it as small, individual, non-contiguous pieces as was done in the past. This is a difficult task that, without the benefit of using a massive, expensive supercomputer to mathematically model the forest ecosystem, will challenge all that participate. This is an arrogant attempt by Man to “manage” the Flathead National Forest ecosystem better than Mother Nature can. After a number of early planning and engagement meetings the Independent Forestry Safety Review Panel visited a number of forest managers and operational harvesting crews in the Rotorua region last week. The visit allowed the Panel to see for themselves the type of work performed in the forestry sector and to meet some of the workers. Following the forestry visit, an initial high level meeting was held on 10 March with a number of key stakeholders to the forestry sector. There has been a mixed reaction in the New South Wales south east over a State Government plan to use state forests to generate power. 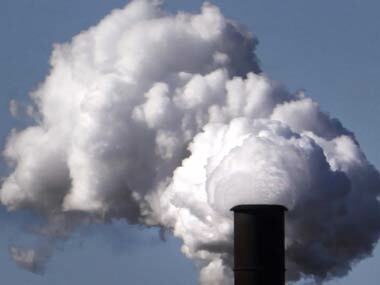 The Government says the scheme would be more environmentally-friendly and create savings. But Greens say the move could impact forests in the south east. 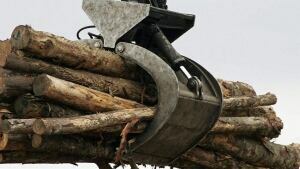 The Minister for Resources and Energy, Anthony Roberts, has announced plans to change environmental protection regulations to allow trees destined for pulp and paper production to be burnt in power stations, along with off-cuts from sawlogs and invasive native species. EFI’s activities in Russia benefitted from a positive development at the end of February when official visits were made to the Ministry of Natural Resources, Federal Forestry Agency (FFA) and the EU Delegation at the Russian Federation. Discussions with the high-level Russian forestry authorities emphasised the importance of EFI’s role in generating added-value information for Russian forest sector decision-makers, as well as in facilitating cooperation between EU countries and Russia on scientific matters and forest sector governance. The Scottish Parliament has officially declared the Scots Pine as the national tree of Scotland. MSPs voted their support for the national tree during a debate to mark the legacy of the Year of Natural Scotland 2013. The idea of a national tree was first brought forward to the Scottish Parliament’s Petitions Committee by Alex Hamilton, a member of the public. Soon after, a consultation was run by Forestry Commission Scotland in which the public picked the Scots Pine as their favourite tree. Anyone who thinks wood energy simply means tossing another log on a crackling fire might be surprised to know Canada’s forest-products industry is a green energy powerhouse. It produces the equivalent of three nuclear reactors of electricity, while producing about 80 per cent of its energy requirements. The vast majority of this energy production is green energy. So when it comes to Canada’s energy future, don’t just think about traditional oil and gas, and newer alternatives such as wind and solar; there’s a growing role for bio-energy produced from an abundant renewable resource in Canada: trees, mainly using byproducts from our manufacturing processes that might otherwise go to waste. The world’s forests could hold 20 percent more carbon than previously thought, according to a study released on Tuesday. If correct, that extra 125 billion tonnes of carbon could lead to an increase in the number of forest-based carbon credits set to be offered in carbon markets around the world. Forests are considered sinks of carbon as they absorb carbon dioxide from the atmosphere, helping to reduce the concentration of the top heat-trapping gas. Deforestation reduces the number of trees absorbing carbon dioxide and also releases carbon back into the atmosphere.